Improve your comfort with the red and black Kensington Duo Gel Mouse Pad Wrist Rest. This mousepad's two-tone rest molds itself to your wrist, providing a comfortable place to rest your hand. Its ventilation channel keeps your hand cool and dry and the finish can be wiped clean. The rigid vinyl pad provides a stable base for mouse movement. 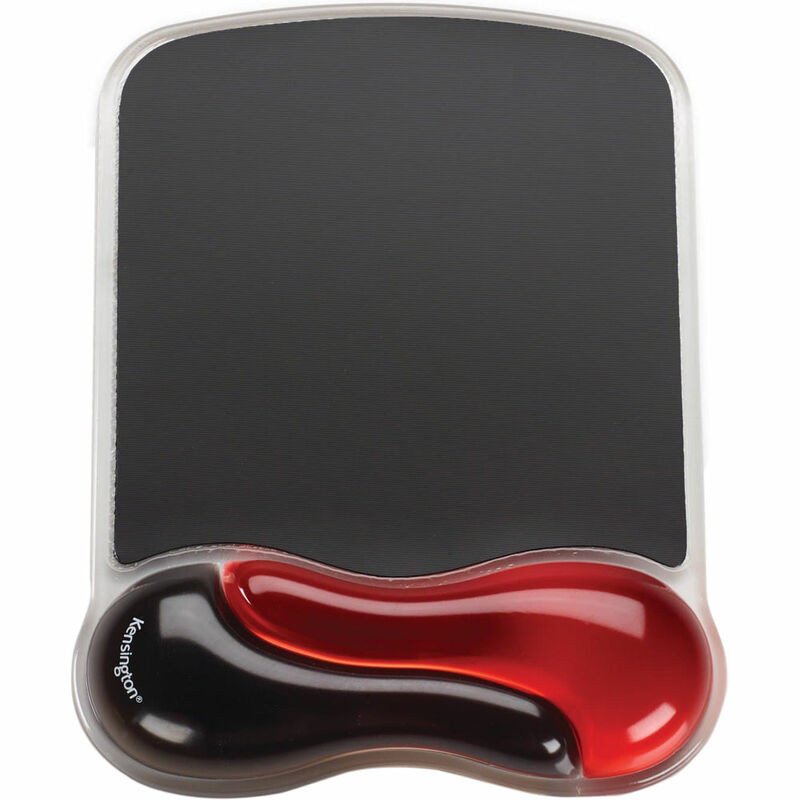 Box Dimensions (LxWxH) 12.6 x 9.1 x 0.4"
Duo Gel Mousepad Wrist Rest (Red and Black) is rated 4.8 out of 5 by 5. Rated 5 out of 5 by Tektite from Best wrist rest I have ever used. The gel feels great, I don't think it's is going to fall apart like previous wrist rests have. I highly recommend their longer one for the keyboard also. Rated 4 out of 5 by Derek from Great to stop that wrist pain! Love it! Just wish it was about an inch wider and higher. My wrist issues have stopped though, which was the point, so I highly recommend this product. Rated 5 out of 5 by Anonymous from :) Product as described.